Iran nuclear deal: what does this represent? We have interviewed Matteo Bressan, Emerging Challenges Analyst at NATO Defense College on the historic agreement in Vienna on Iran nuclear deal. 1) What does the deal represent in the US-Iran relationships? Let’s begin with a clarification : the Iranian nuclear deal doesn’t guarantee any substantial change in the US-Iran relationships but it has to be seen as a starting point to reset a new dialogue between the two countries. It has to be considered an historical milestone in the Middle Eastern history. Let us never forget how the technicalities on uranium and the sensationalism that often accompanied the news about the possible existence of an Iranian program to build the atomic bomb have obscured and kept under wraps some important US intelligence reports, such as the National Intelligence Estimate (NIE) of 2011, which denied there was an Iranian effort in the construction of the atomic bomb after 2003. Concerns have been expressed on several occasions, i.e. in February 2015, by some leading members of the Israeli Secret Service Mossad minimizing the possibility and the actual Iranian threat in achieving the atom. I would also add that what happened on July 14 says a lot about the American foreign policy priorities, increasingly focused on Asian scenario and on China’s economic and military growth. 2) What does it change in the Middle East? We must say this agreement reintegrates Iran into an international community that is currently facing numerous crises in the Middle East, above all, the threat of the Islamic State. We must not forget that the only military forces that since last year are directly facing on the ground the Islamic State are Peshemerga Kurds, the Iranian militias in Iraq and the Lebanese Hezbollah in Syria. The international coalition air raids are unlikely to defeat the militias of the Islamic State if they won’t be accompanied by a strong military presence on the ground. I wouldn’t be surprised to find in Iraq a possible connection between the coalition interests and the Iran’s ones, as already took place last summer during the battle for the liberation of the Iraqi town of Amerli , where the unusual combination of US Air Force and Iranian militias have liberated the city from the Islamic State. Obviously, this dialogue between the US and Iran has preoccupied the historic Washington’s allies in the Middle East: Israel and Saudi Arabia. We can immediately say that the first consequence of this agreement, apart from the harsh criticism of the Israeli Prime Minister Netanyahu, is the clear and upcoming establishment and strengthening of the Sunni bloc composed by Turkey, Saudi Arabia and Jordan in an anti Iran coalition. 3) What is the economic impact of the end of embargo? The end of the embargo would allow Iran to open its economy, partially blocked by the sanctions, to the Western countries which can contribute to the rise of the Iranian economy. 5) What was the role played by the European Union and by its Foreign Policy Representative Federica Mogherini? European Union has always been accused not to be able to have its own foreign policy and there were moments during the negotiations in which it looked like Europe adopted in an a-critical way pro american positions. I have to say that this deal, even considering its limits and the unknowns, has to be considered as a bet and I would agree with High Representative for European Foreign Policy Mogherini in saying that we should re propose the same approach in other global scenarios such as North Africa and Ukraine. 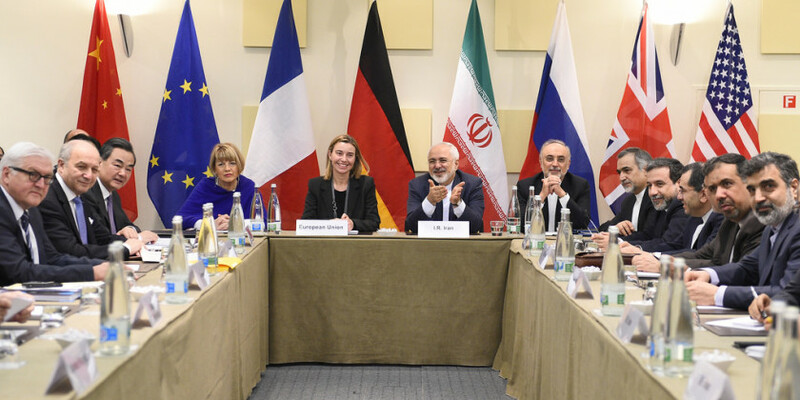 A lot will depend also on how the countries that are currently worried by Iranian policies will perceive the deal. As remembered many times by US President Barak Obama, the deal doesn’t represent a threat to the existence of the Israeli State. On this and other challenges, the European Union credibility and its future as a key role member will be played. 4) …and what about Italy? Italy has always been looked at with attention and hope by Iran. It has to be noted that last Italian Ministers for Foreign Affairs Bonino and Gentiloni have always kept good relations within Iran especially during the key moments of the negotiations. A delegation of important Italian companies, led by the current Italian Foreign Minister Gentiloni, will go to Iran on the 4th and 5th of August and this shows us that Iran could be a strategic partner for Italy like it was before 2006.